What’s that? Well, it’s a bunch of papers burning. There are also some bras in there. 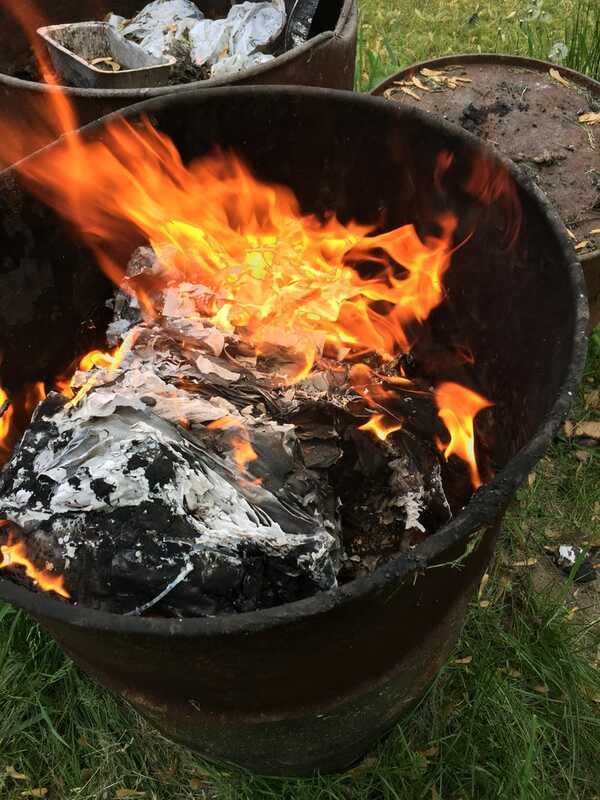 The Prophet had some old ones that didn’t fit anymore, so it was time to burn them. I am extremely amused by this.